Our good friend @Diagamblic has just contacted us via our Twitter feed of a rather interesting cartridge by Catskull Electronics that is sure to blow both your mind and your speakers. 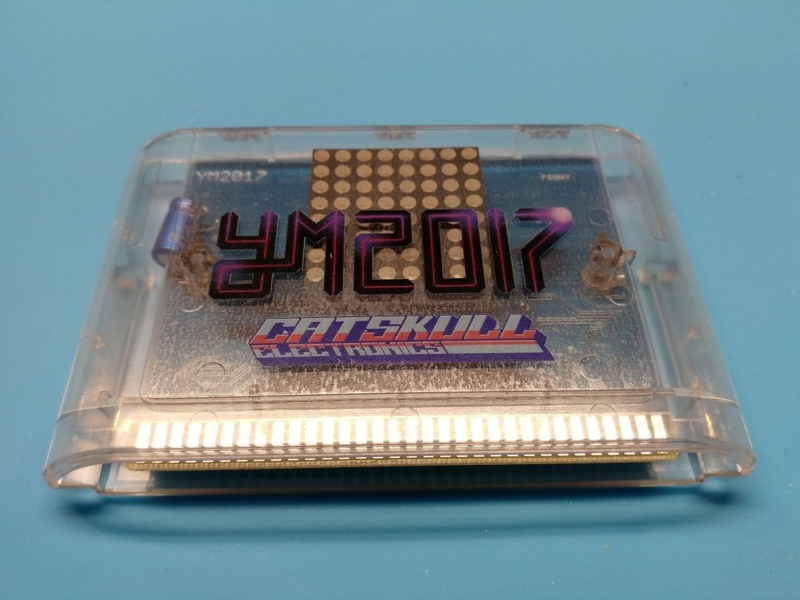 This is the ' YM2017 ' cartridge; a brand new compilation album on a cartridge for the Sega Genesis and Megadrive that features a large amount of songs from a bunch of really cool musicians. Songs such as Palm-O-Rama, Deliverance, Astro Blaster, Sunset Beach Galaxy, Latin Night Funk, A Night To Let Go, Solar Modulation, Festicity Zone and Hostage Extraction. The cartridge has an on-board 8x8 led dot matrix display which is used to show graphics as well as act as a real time visualiser for the music playing. It’s a 16-bit VMU.. Available to pre-order at a cost of $45.00 with a shipping date of mid-late August.